Supermarket woes and the commodity crunch have weighed heavily on the FTSE 350. The falling prices of food and natural resources have hit some of Britain’s biggest businesses hard. A new analysis by stockbrokers The Share Centre found that annual pre-tax profits in FTSE 350 companies that reported in the second quarter of this year were down by 36.7% to £11.9bn. 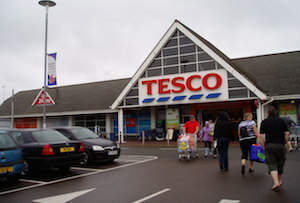 The report showed that this was largely down to the plight of Britain’s three biggest listed supermarkets – Tesco, Sainsbury’s and Morrisons. Overall pre-tax profits for ‘food and drug retailers’ were down from £3bn at this time last year to a dramatic loss of £7bn – largely driven by property writedowns. Mining company Vedanta also reported a £3.5bn loss, reflecting a wider malaise afflicting its sector caused by the falling price of metals and other commodities. Profits at food producers, presumably also squeezed by the grocery price war, were down 80% to £70m, while financial services profits also declined by 9.6% to £1.3bn. It’s worth bearing in mind that the analysis is skewed a bit, because it only includes those 69 companies that reported their year-ends in three months to June, but it nonetheless puts the scale of the supermarkets’ problems into perspective. The overall picture may not be great, but there are some positive signs. Profits in the telecoms sector, both fixed-line and mobile, were up substantially (thanks to a booming BT and a resurgent Vodafone) and pre-tax profits at mid-cap companies (excluding Vedanta) were up 16%. ‘Since 2009, mid-cap pre-tax profits have risen fourfold, far outstripping the FTSE 100 and we expect them to continue to grow further.’ Miah added. At this rate the composition of the FTSE 100 could look a lot different in a few years’ time.